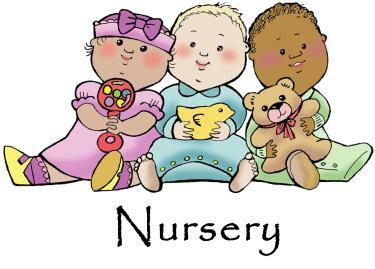 Christus Victor offers professionally staffed nursery care for during all services. Our littlest Lutherans (aged 6 weeks to 6 years) are welcome in worship, but they are also welcome in the nursery. Parents and caregivers may either drop off children after signing them in or stay in the nursery with their children. We do have a speaker in the nursery so you can hear what is goin on in the worship service. Christus Victor offers Sunday School each Sunday from 9:30 to 10:30am. The students - pre-k through 3rd grade - begin in the 9:15 service with their families. After the Children's Sermon during the service, the children are then dismissed to Sunday School. This year (2018-19), we will be "Digging into Discipleship," and kids will discover what it means to reflect the heart of God in everyday life. We welcome all children to join us for Sunday School. If you have any questions about our Sunday School program, please email us at: CVChildren@CVLutheran.org. Christus Victor offers a special program called Grapple each Sunday from 9:30 to 10:00am geared specifically for students in 4th and 5th grades. These students begin in the 9:15am service with their families. When the younger children are called forward for the Children's Sermon, the 4th and 5th graders meet in the Youth Room for Grapple. They will rejoin the service at Communion time. The lessons in Grapple are based on real questions asked by real 10-12 year olds and are designed to help preteens learn how to search the Bible for answers as well as build a faith foundation that guides them to make wise choices. We welcome all 4th and 5th graders to join us for Grapple. If you have any questions, please email us at: CVChildren@CVLutheran.org. First Communion preparation is offered to fourth grade students and older children who have not yet received Communion instruction. Instruction is usually held during Lent and First Communion is held on Maundy Thursday. Please watch for more information on our 2019 First Communion preparation at the beginning of 2019. MOPS is a fun moms' group for both you, the mom of children 0-6 years, and your little “Moppets.” It is designed to help moms grow and flourish as they connect with other moms. At Christus Victor, MOPS meets on the 1st and 3rd Tuesday of each month, September through May. Pray -N- Play provides children, age 0-5, with building blocks for life through interactive play. At Christus Victor, Pray -N- Play meets on the 2nd and 4th Tuesday of each month, September through May.